Steven Smith shares a spectacular take on a retro classic. 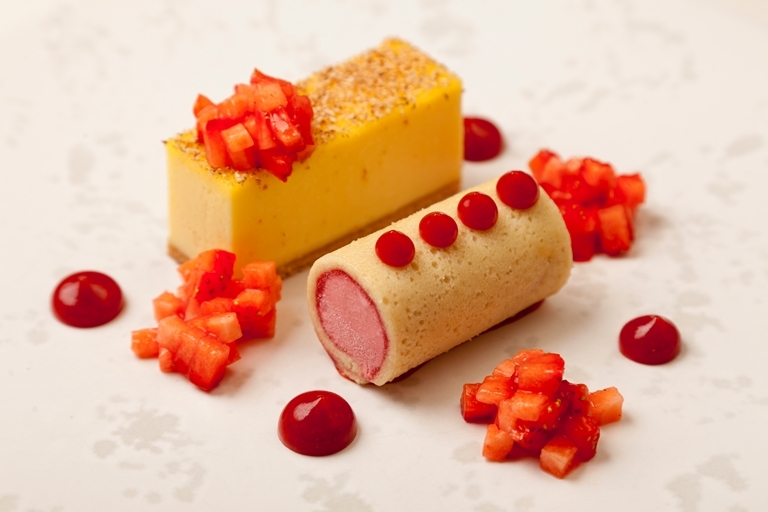 With components like custard tart, strawberry gel and lime-marinated strawberries, this isn't your average Arctic roll recipe - so be prepared to put in a little work to get it right. For the custard tart element, you will need a 36 x 13 x 2.5cm tart tin with a removable base. Steven Smith may be trend-averse but he is certainly not risk-averse, his cuisine embraces tradition without being consumed by it.